Announcement Welcome to P3 Gardening! We just opened our new Etsy shop in August of 2018. We have made and sold our custom Patio Pocket Planters for the past 7 years, primarily at shows, markets and events throughout the Midwest. We hope to build a nice on-line business to supplement our summer markets and in the process offer our unique planters to a much larger customer base across the U.S. Please take a stroll around our shop and see all the many "wonderful" gardening ideas that our possible with our Pocket Planter Systems. Welcome to P3 Gardening! We just opened our new Etsy shop in August of 2018. We have made and sold our custom Patio Pocket Planters for the past 7 years, primarily at shows, markets and events throughout the Midwest. We hope to build a nice on-line business to supplement our summer markets and in the process offer our unique planters to a much larger customer base across the U.S. Please take a stroll around our shop and see all the many "wonderful" gardening ideas that our possible with our Pocket Planter Systems. I love this pot! Lots of room for plants. I love the watering tube. The seller was amazingly accommodating when I had to change delivery of my order because of unexpected travel. I'll keep my eyes open for any new product they come up with. The quality is absolutely top of the line. THANK YOU P3 for a great product. I love my new pocket planter! Just planted it up with some fall salad green seeds. Kale seeds in the top with lettuce mix seeds in the side cups. Sprouts already coming up. Great design and very well made! 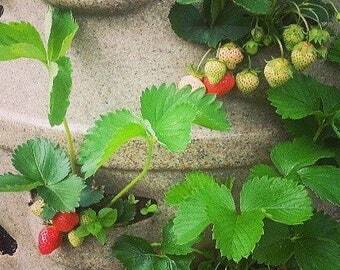 Thanks P3 Gardening. A “one of a kind” gift for Mom! Load up one of our Patio Pocket Planters full of flowers and ornamental plants for a beautiful display! 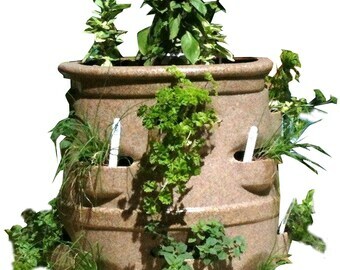 Looking forward to working some spring and summer shows presenting and selling our custom Patio Pocket Planters. Celebrating our 8th year in business! 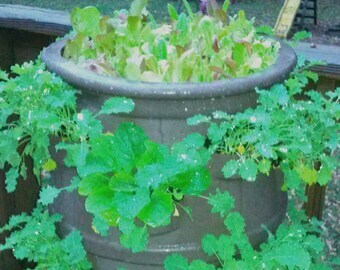 Some early spring fresh salad greens growing from one of our Pocket Planters. Delivering a specialized composted soil mix to one of our customers in St. Louis, MO. Owner Andy Young standing on his back deck between two of his Patio Pocket Planters. My dad and I working one of our very first Farmer's Markets back in 2012 in Clayton, MO. Set up and ready to sell our custom planters at the Washington, MO Art Fair in 2016. Booth set up and the Missouri State Fair in Sedalia, MO in 2014. 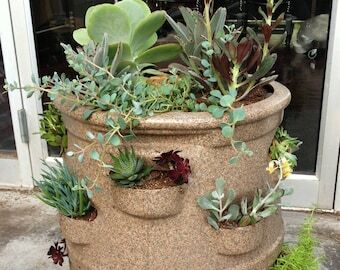 Video summary: Design details and photo slideshow of our Patio Pocket Planters. 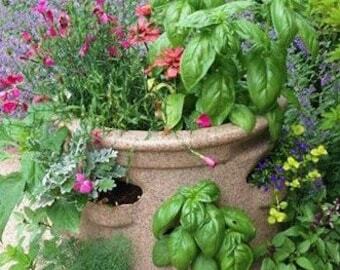 We make and sell a truly unique patio garden container for growing fresh vegetables, herbs and flowers! I got the original idea from my father who had made a homemade planter from an old plastic barrel. I spent a year researching how to create my own design and get an aluminum mold made. I have a partner company who molds my planters for me, then I cut the tubes and drill the holes for my center watering tubes. I developed our planters from a homemade model my dad put together several years ago. I worked on my design and found a partner company to build a mold for me to start producing our planters back in 2011. They custom mold and hand trim my product from my design and aluminum mold that are 100% owned by me. Once I receive them from my partner facility, I cut the tubes and drill the holes for my center watering pipe and ship them to my customers all across the U.S. from my home location. Can be left outside year around without fear of freezing, cracking or delaminating.